We signed Grace up for the Summer Scholar Program because she barely passed geometry as a freshman. We all knew she was able to get good grades in math, she just needed a good teacher to light that spark! She wasn't too sure at first about tutoring over the summer, but she really loved working with Elizabeth. Now it's October and algebra 2 is already going much better than this time last year. Our Summer Scholar Programs help students entering 6th-12th grades and college get ready for the next level in math and science! All of our programs are one-on-one and are customized to meet the unique needs of each student. Your child will be working with a certified teacher or tutor for 12, 18, or 24 tutoring sessions this summer - whichever package you choose! - to catch up, keep up, or get ahead in math and science. New this year! Your child's 60-minute sessions will be scheduled at times that work in their busy summer schedule. Morning, afternoon, and evening times are available. When you enroll, you'll give us your child's availability from June 3 - August 9, and we'll make sure to schedule their tutoring sessions around vacations and summer camps. Our summer tutoring program is designed so that students of all academic levels can be challenged. Students come to Illini Tutoring for a wide variety of reasons - some students want to get better grades next year, and other students just want to maintain what they've learned this past year. Some students need to focus on their math fundamentals as they prepare for the SSAT, SAT, or ACT before beginning one of our Test Prep Programs. When you enroll in one of our Summer Scholar Programs, you'll answer questions that will help us prepare a summer curriculum that's just right for your child's needs, whether they're starting middle school, their senior year of college, or any grade in between! Illini Tutoring has extensive knowledge of each school's curriculum because we've worked with thousands of local students over the past 9 years. We know what students at each school are expected to know as incoming students and we are very familiar with the challenges that many students face in the classroom. That's why we've created a customizable program that can help any student do better next school year. Your student might love math and science, and they might be excited to learn more over the summer. On the other hand, your student might be dreading the idea of math and science tutoring over the summer. 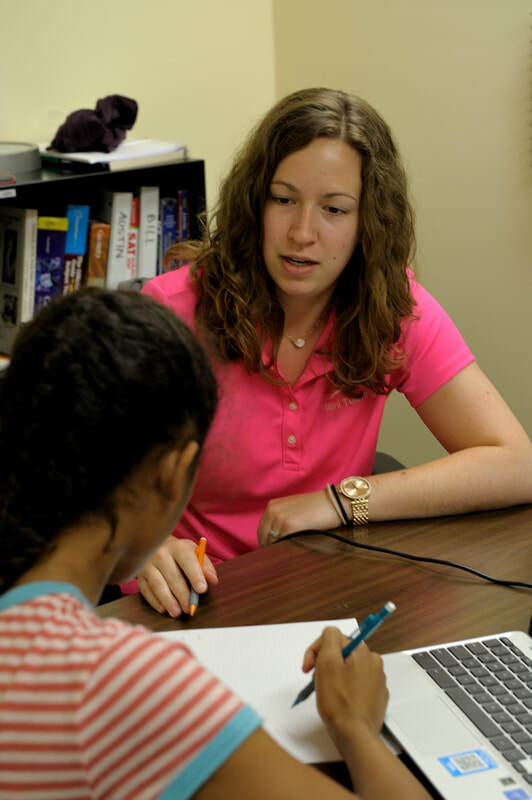 Illini Tutoring's compassionate, expert tutors create an atmosphere that makes math and science interesting and fun! We emphasize developing stronger fundamentals, problem-solving skills, and logical thinking. Our summer students complete their customized tutoring programs feeling more confident in math and science, and they're ready to be successful next school year! Click on any of our programs below to learn more! All programs above are available in 12, 18, or 24 hour packages. When registering, simply choose the number of hours that's right for your student, your schedule, and your budget. You'll give us your student's availability from June 3 - August 9 when registering, and we'll schedule all your student's hours within your availability. Please note that the rates below are only for our Summer Scholar Programs. Test Prep Programs have different rates - please check out our Test Prep Programs here! $150 deposit is due when registering - this is applied toward your program's total and it is not an additional fee. You can pay your balance all at once, or you can make 3 installment payments (payment amounts shown above.) These payments are due on May 1st, June 1st, and July 1st. Illini Tutoring accepts cash, check, and credit/debit card payments.